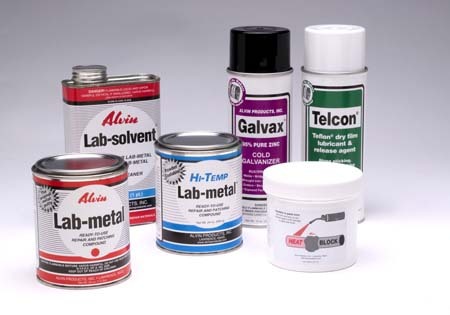 Alvin Products, division of Dampney Company Inc., manufacturer of specialty repair and maintenance products, was founded in 1950 with the invention of "Lab-metal", a unique one-part metal dent filler. The company now manufactures a complete line of quality problem-solving products for industry. Our company mission is to serve our distributors and their customers with time-saving and money-saving products. The Alvin Products line is distributed through welding, industrial, foundry, bearing/transmission, tool/fastener, automotive, marine, paint/hardware, and other specialty supply companies throughout the world.